for some, drum samplers can be a really handy tool for creating drum grooves rather than arranging samples in your DAW. Today we'll look at top 3 drum sampler plugins. Geist Lite is actually a magware sampler i.e, it comes free with magazine. However Beat Magazine gives it free for everyone with their EDM Inferno geist bundle. Released as a christmas gift in 2016, this is actually a capable drum sampler released by my favorite blog. This is a drum sampler with heavy editing capabilities.It is provided free by Soundbridge. Waveform 8 (which was supposed to be T8 before the name change) is the latest version of Tracktion which is my DAW of choice. I downloaded a 30 days trail of latest version (8.2.7) to test it and here is my review. Waveforms UI looks familiar to anyone who has used Tracktion before, the first time i opened it, it detected all my tracktion projects,my plugins with ease. Waveform retains the same layout and controls as previous versions of Tracktion which is a good thing if you are a tracktion user. The UI is a huge improvement from Tracktion 6 and looks pleasent. It does however add few new elements such as a seperate view for Piano Roll, LFO Modulators, MIDI randomizer and a mixer view. Best Free Samplers, 64bit version. Here are my favorite samplers that i think are the best. Grace Grace by One Small Clue is a great sampler and has great sound shaping capabilities and is very easy to use. It supports various sample formats like wav, sfz etc. Sforzando Sforzando is an excellent soundfont player and sampler you can load sfz files, convert sf2 to sfz files and there are lots of free libraries available for it. It also includes an easy to use wavetable synth called Tablewrap2. Zampler Zampler by beat magazine is another great sfz player which comes with tons of free libraries and supports sfz,rex2 formats. It features same engine as Synapse Dune so it has got an awesome arpeggiator,mod matrix,modulation sources and effects. Synth1 (Subtractive) Synth1 is a subtractive synth, a legendary freeware synthesizer. The sound of it even matches some of the top paid synths. Once you get used to it, its a great synth to program. If you are not the kind of person who likes to create presets, there are thousands of presets available online. Zebralette (Wavetable) Zebralette is a highly cut down version of monster synth Zebra 2 by U-he. It features a single wavetable oscillator that is capable of doing anything you wish. It can morph between 16 waveforms and contains many modulation sources.It contains some amazing spectral effects to shape your sound.Many people have created amazing pads, leads,bass and analog sounding patches as well as powerful growls,fx etc. These are 5 of my favorite blogs and my inspiration to start blogging. Bedroom Producers Blog is the first website that comes to mind when i hear freeware. This is, in my opinion, the finest blog when it comes to free VSTs, samples, reviews etc. Follow bedroom producers blog and be the first to know about new freewares (with respect to music production). They offer their own library of samples and vsts aswell. Noizefield is also a blog about freeware releases but they tend to produce more news articles than bpb, their content is short and to the point. They also offer free VSTs which i used to use before switching to 64 bit completely and some free preset packs for various VSTs aswell. 3) Rekkerd Rekkerd is a blog for all kinds of music software (and sometimes hardware news). Follow this if you want to get news about new releases, updates and offers on vsts, samples and softwares. Do you often record sounds and sample them? i do. Audacity is the go to audio editor for me to extract samples because of its zooming capabilities and exporting selected audio. It also has some simple yet useful effects to shape your samples and also has support for VST effects and other formats. List of Free DAWs and my personal favorites. List of free DAWs These are the freeware DAWs that i know. I've picked top 5 among this based on the features it offers. The top 5 however is unordered. 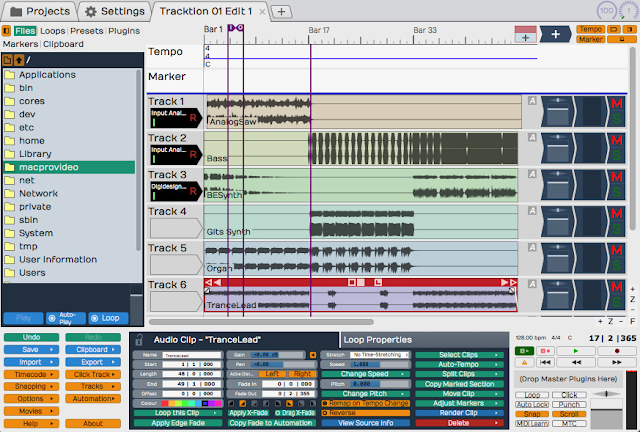 Top 5 Tracktion 6 (Windows, Mac, Linux) Tracktion is the DAW i use. I love it for its unique workflow and its rack. Once you get used to its interface its one of the quickest DAWs which is light on your CPU aswell. It doesn't have any limitation. 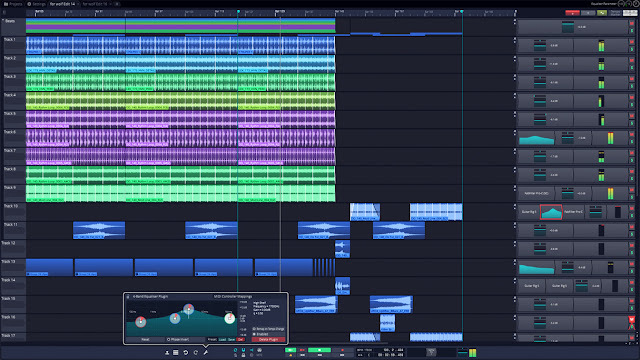 Soundbridge (Windows, Mac) I found this while randomly browsing and its a surprisingly capable DAW. Still needs some bugs fixed but nothing big to make it unusable.It doesn't have any limitation. 1) Some VSTs fail to load. Synth1: Introduction to subtractive synths. If you are new to sound designing, subtractive synthesis is the way to start things of. Synth1 is one of the best freeware subtractive synths around with tons of patches released for it. It is also one other best sounding synths. One disadvantage, its user interface is not friendly. 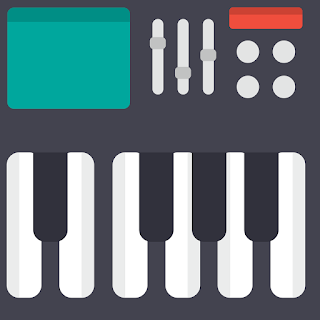 This post gives an introduction to its interface, explains some basic synth parameters which are common to all synths and gives you an idea of synth1 and subtractive synthesis in general. In future posts, i am going to do a few sound design tutorials (dubstep basically) using synth1. The above diagram shows all the sections available. Open the diagram in a new tab to use it as a reference when i explain the sections below. 1) Oscillator sectionSynth1 contains 2 oscillators containing basic waveforms. It also contains a sub osc containing 4 basic waveforms. Oscillator section is where our sound originates. The sound is shaped be many parameters which is gonna be covered in other sections aswell. Android is a platform which is not considered seriously as a music making platform because of its audio latency. But as android has evolved the latency has decreased and with android 8.0, the latency is minimum. The things are about to change. More and more music making apps which were ios only are now coming to android. These are the Android apps that i think are the best you can get without spending a buck. Check them out, they are all free. If you want an extended list of freeware android music making apps, check the link at the bottom of this article. Here are 20 free dubstep presets for Zebralette. Zebralette is one awesome free synth for creating dustep basses and growls. Download ================================================= If you like to support me listen to my latest track. Here are some more foley samples i recorded. Programming Error - EP Out Now! I'm proud to present my first EP. There are very few decent free apps for android and they are overshadowed by lot of toys. So, i decided to make a list. Also, i enjoy making free software lists. These are good enough to jot down your ideas/ make very basic demos. Semi-Free: 1) Beatonal (Groovebox), Audioid (Groovebox), Mikrowave (Groovebox, very cheap paid version) [These softwares can't save projects but can export audio, you can use these audio files in some of the applications mentioned above]. This Sample Pack contains 205 drum hits/ percussion hits. 160 of them are from Experimental Drums (Not Available Anymore). There are few Grace Patches are well. And some patches for Grooove/Grooove BPB/Grooove CM Drum Sampler. Volume 2 Coming soon. DownloadDownload Grooove BPB Kits ------------------------------------------------------------------------------------ If you want to support me, you can listen to my latest track/ subscribe me on Youtube/Follow me on soundcloud. Listen to my Latest Track! New Music Out Now. Listen to Crashed My System. Here is a video i made to help you guys make visuals for your music. Check it out below. Hit Like and Subscribe to my channel if you like it. These samples were synthesized using Drumatic and processed using variety of Amps and Creative effects. 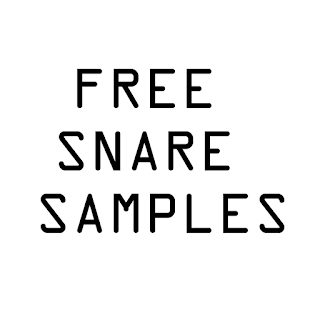 These snares are suitable for Trap but you can use it in any genre that you wish. These are not too much processed so it'll be good with some EQ and Compression. Download ----------------------------------------------------------------------------------- If you want to support me, you can listen to my latest track/ subscribe me on Youtube/Follow me on soundcloud. Latest Single: Listen to Destruction Now! Here are 26 Presets for HY Mono. HY Mono is an awesome little synth with scalable UI. Its also free. Check it out.Also, check out Hyakken's other Plugins too. They are simply Awesome. Especially HY Filter2 (Free). These were the sounds used in my track "Dark Magic" for KVR OSC 94. You can download them freely. There are 40 Presets which contain FM Basses, Noise hits, Dark Leads and other sounds which are Dubstep Oriented.